Tudor unveiled its latest collections of timepieces at the 2014 Baselworld watch fair, presenting their new Tudor Heritage Black Bay and Tudor Style. 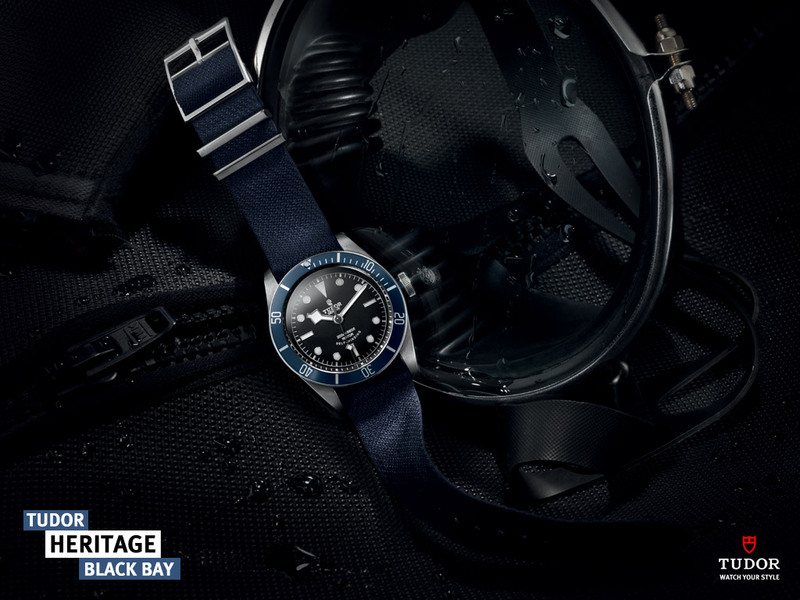 The Tudor Heritage Black Bay, which pays homage to the original diving watch, was first presented in 2012, and awarded the ‘Revival’ category prize by the jury of the 2013 Grand Prix d’Horlogerie de Geneve’. The new version returns icy and sharp, extracting the original purpose of the Submariner watches, on the wrists of divers of some of the world’s best navy forces. The brand first came to life in 1926, when the trademark ‘The Tudor’ was registered in Geneva for Hans Wilsdorf. The original watches bared a simple Tudor Signature on the dial and with some rare pieces, the name Rolex appears. Rolex effectively guaranteed the technical and aesthetic quality of Tudor watches until the brand attained autonomy in that field. 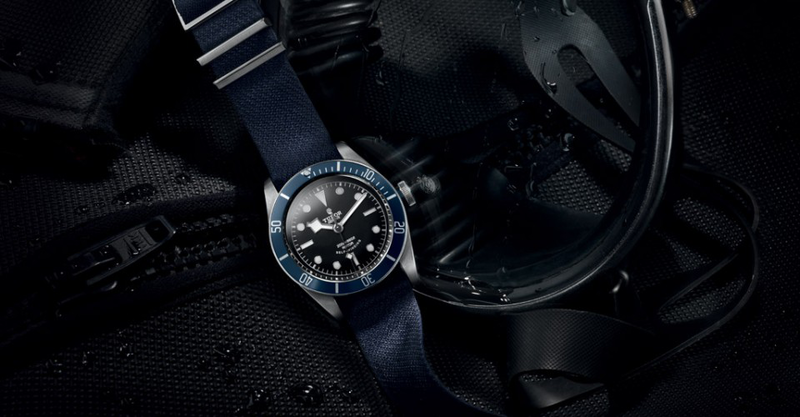 1954 was the year that Tudor would forge its legend, with the release of the brand’s first diver’s watch. The Tudor Oyster Prince Submariner fulfilled exceptional precision, reliability, durability and water resistance at 100 meters at a moderate price. Over the next 45 years, the watch continuously evolved to meet the needs of divers and also marine armed forces who swore by the watch brand. 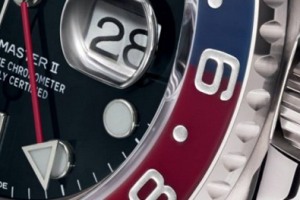 The Marine National Francaise and US Navy spoke volumes about the reliability of the Submariner which thus extended Tudor’s reputation for quality and robustness. Marine Nationale divers were known to make watch straps using parachute belts as seen on the Tudor Oyster Prince Submariner ‘Marine Nationale’ 9401, dating from 1977. The elasticity of the material made the strap comfortable to wear and allowed for easy adjustment over a divers suit. The new Tudor Heritage Black Bay is distinguished by its exceptional attention to detail and true temporal encounter of past, present and future. The original aesthetic elements of the iconic models are preserved and fused with contemporary touches to update its legendary status. The Heritage Black Bay derives its lines and domed crystal from Tudor’s evolving Submariner lines, owing its ancestor its domed dial, imposing winding crown, and its characteristic angular hands known to watch connoisseurs as ‘Snowflakes’. Combining these exceptional historic elements with new contemporary design, such as the robust 41mm steel case coloured anodized crown tube and superb interchangeable bracelets, make the Black Bay a watch with powerful identity that embodies the brand’s process of renewal. The Black Bay has swapped its distinctive 2012 burgundy bezel for a midnight blue, a reference to the original Tudor Marine Nationale watches. Like all models in the heritage line, the Black Bay is equipped with two interchangeable bracelets or straps, a distressed midnight blue leather strap, an adjustable blue fabric strap, or a satin-finished and polished steel bracelet. 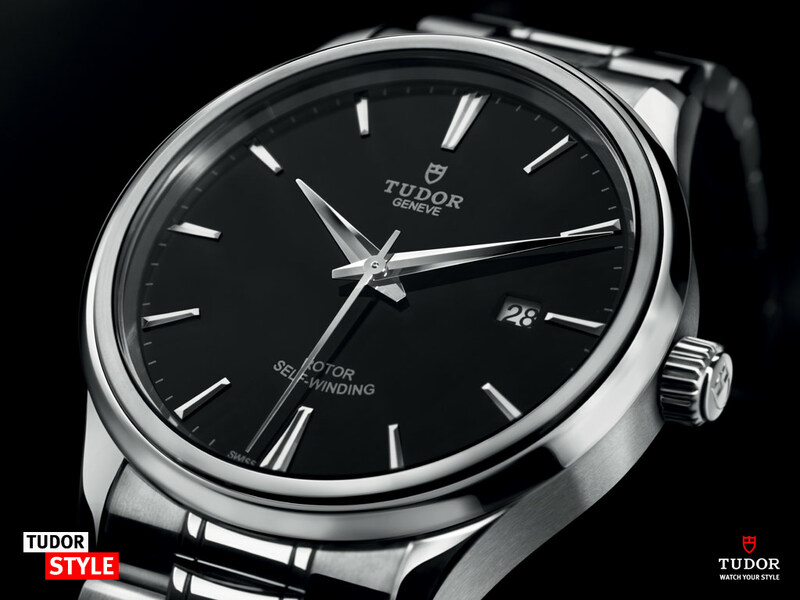 At Baselworld 2014, the brand also introduced the Tudor Style, a contemporary elegant watch that draws its personality from the brand’s stylistic roots. Classic watches have always been a remarkable field of expression for the brand, with wealth in subtle yet refined watches that suit all occasions. 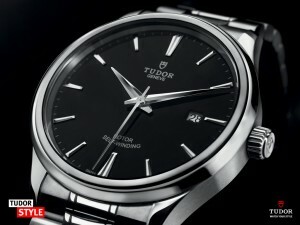 Drawing on the dynamic stylistic renewal undertaken over 5 years ago, Tudor released its Style line. The modern interpretation of the iconic classic watch of the 1950’s to 70’s incorporates aesthetic codes from the original models, echoing a marked era of the Italian Dolce Vita. Offered in steel or steel and gold, the watch is designed to suit all circumstances, with exceptional attention to detail, comfort and understated elegance. The Tudor Style incorporates a blend of watchmaking tradition with a round waterproof case to 100 metres, an enhanced double bezel, winding crown and five link bracelet, guaranteeing remarkable comfort. The lacquered dial, is available in three colour variations, glossy black, champagne, or silver, set with three diamonds or a non gen set version. The Tudor Style draws on benchmark features such as 1950’s hour markers, and Tudor signature double markers at 12 and 6 o’clock. 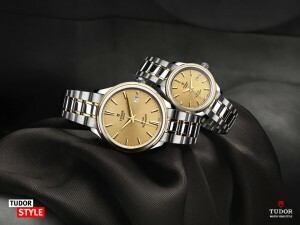 All versions are equipped with a 38 hour power reserve, hours, minutes, seconds and date functions. The retro chic style designed for both ladies and gents, is a glamourous expression of watchmaking at its finest. Modern, precise and undoubtedly reliable, the new Tudor Style infused with rich history, embodies the perfect match of sensuality and performance. For more information on Tudor watches email watches@weirandsons.ie or call 01-6779678 to arrange an appointment in the Watch Department in one of our stores.